We use a lot of paper. The average American uses 700 pounds of paper per year, and global consumption stands at around 210 million tons per annum. Given we rely on paper so much (and we now live in a world driven by mobile technology), it’s important to know how to print documents while you’re on-the-go. There are lots of services available. In this article, I’m going to explain what “cloud printing” is, then introduce you to some of the best apps you can use. All the apps and services I’m going discuss use cloud printing technology. Cloud printing refers to the process of sending a document from a device to a printer without the need to install drivers or manufacturer-specific software. It’s particularly useful when used in conjunction with mobile devices. Smartphones and tablets typically either don’t have a native printing function or can only print to a very narrow selection of devices. However, it’s also useful if you’re working on a laptop away from your home or office How To Share Your Printer With Anyone On The Internet How To Share Your Printer With Anyone On The Internet Windows 7’s Homegroup feature makes sharing printers on your local network easy, but what if you want to share a printer over the Internet? This has traditionally been very complicated, involving print drivers, firewall rules... Read More . If you urgently need to print something in a college, library, or other public settings, the technology can be a lifesaver. Here are eight apps and services for you to try out. Available on: Windows, Mac, Chromebook, Android, iOS. Google Cloud Print is arguably the most well-known of all the services. Google launched the service back in 2010, and it quickly grew to become the market leader. 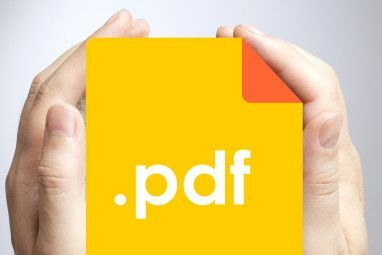 The technology is simple to understand: when you hit print, the document is sent over the web to Google, who in turn forward it to your selected printer. The biggest benefit of Google Cloud Print is its compatibility Google Lets You Print to Any Printer No Matter Where You Are Google Lets You Print to Any Printer No Matter Where You Are Tired of printer connectivity issues? Wish you could print to a non-wireless printer from anywhere, no matter where you are? Google Cloud Print is here to make your life easier. Read More . It works on almost every operating system (desktop and mobile), will allow you to print from virtually any app, and doesn’t require you to sign up for any additional services if you have a pre-existing Google account. Some printers are sold with Google Cloud technology built-in, but even if your printer is old, it’ll still work. And you don’t need to work about privacy; Google will automatically delete your documents from its servers as soon as the print job is complete. It’s not without its drawbacks. The service requires you to add printers to your account manually. That means if you want to use a public printer and the network administrator hasn’t enabled cloud printing, you’ll be out of luck. Use this app if: You want to quickly send documents to your home printer from anywhere in the world. Available on: Windows, Mac, Android, iOS. I touched on PrinterShare briefly when I explained how to share a home printer over your Wi-Fi network The 3 Easiest Ways to Share a Printer Over a Network The 3 Easiest Ways to Share a Printer Over a Network You can share your one printer with multiple PCs across a local network. We explain how to set this up in Windows. We also show you alternative ways to share your printer. Read More on Windows 10. The app will let you print to any Wi-Fi-connected printer. Given almost all new printers now have Wi-Fi technology, it means you will be able to print to a vast number of devices. PrinterShare is free to download and use on both desktop and mobile. 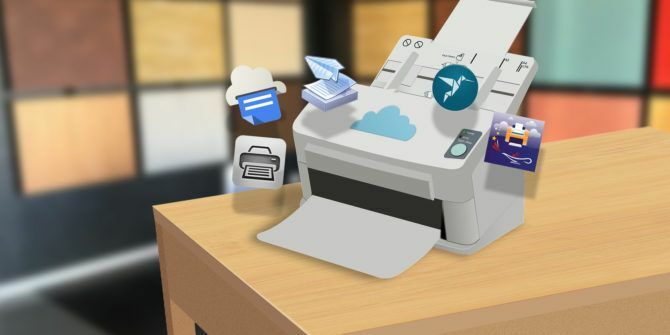 And it’s easy to set up: the app will instantly add any of your personal cloud-connected printers to your account, then scan for nearby printers on your local network. If you’re using Android How to Print from an Android Phone or Tablet How to Print from an Android Phone or Tablet Want to print directly from your Android phone or tablet? Don't worry, the process is simple. Read More , the app has some excellent additional features. You can automatically print your call history, messages, calendar, pictures, Gmail emails, and contacts. The biggest drawback is the cost. The Android app is $9.95 and the iOS version is $4.99. Nonetheless, it’s a price worth paying if you do a lot of printing on-the-go. Use this app if: You regularly need to print to a variety of modern printers in different public locations. PrinterPro takes the same approach as PrinterShare, but it specializes in iOS devices. Install the app, and it will automatically scan for any printers connected to your local network. Interestingly, it will also allow you to print to any non-Wi-Fi-enabled printer over USB if you install the desktop app on your Mac. There is no Windows version. It works extremely well with the various native iOS apps. Once you have installed the app on your device, you can print directly from Documents, Clipboard, Contacts, Photos, Safari, Dropbox, and more. The app also comes with lots of options to customize your print job. You can change the paper size, orientation, adjust the number of copies, choose how many pages to print per sheet, and scale the size of your document. Use this app if: You’re heavily integrated into the Apple ecosystem. Moving away from personal solutions, Ezeep is one of the best options for small offices. The app will let you manage your office’s entire printing infrastructure directly from the cloud. That means no more installing software on every employee’s device or worrying about drivers failing to function correctly. 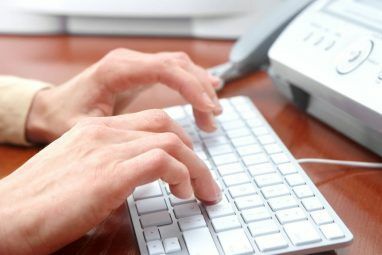 Users can send documents to your connected printers from anywhere in the world. The service comes with a mobile app for both Android and iOS. The apps have advanced printing options such as multiple copies, duplex printing, page ranges, and “Print Later” options. You can also specify company-wide policies that individual users cannot change (for example, restrict all print jobs to black and white) or set policies on a user-by-user basis. You can even add a payment option, forcing employees to pay for any pages they want to print. Use this app if: You want to provide an easy-to-use solution for your small business. Available on: Windows, iOS, Android, Windows Phone. PrintJinni lets you print to almost all the most common manufacturers’ models over a Wi-Fi connection. It will automatically scan your network for any available devices. It supports all the Microsoft Office formats, as well as PDF and JPEG. PNG support is only available on the iOS version of the app. The app stands apart from its competitors’ offerings thanks to its social media integrations. You can print photos and other content from Google+, Instagram, Facebook, Flickr, Picasa, Photobucket, Shutterfly, and Snapfish without needing to save the image directly onto your phone. Use this app if: You want to print a lot of content from your social media feeds. As with Google Cloud Print, some printers come AirPrint enabled, but the app will also work on older models. Once you’ve hooked up your printer to the app, just tap Print from within any app, and you’ll have a hard copy in seconds. Predictably, the app only works on Apple devices. Most printer manufacturers now offer their own cloud printing apps. Because they’re manufacturer-specific, they’re easy to set up and work extremely efficiently. Obviously, the big downside is they will only work with printers from the manufacturer’s family of products. They’re not useful for printing in public places. Some printers are Bluetooth enabled. The concept hasn’t been widely adopted by the manufacturers, but where available, it’s arguably the simplest method on this entire list. Just pair your desktop or mobile device with the printer, and you’ll be able to print anything you want. How Do You Print Documents On-the-Go? In this piece, I’ve covered five services in detail and suggested a further three ideas for you to consider. I’d be interested in learning about how you print documents when you’re on the road. Do you use one of the apps I covered? Have you found an alternative service that’s even better? What are your perceived pros and cons of your service of choice? You can get in touch with your suggestions and recommendations in the comments below. Explore more about: Cloud Computing, Digital Document, Printing.